Kim Jong Un, continuing his international outreach, invited the pope. 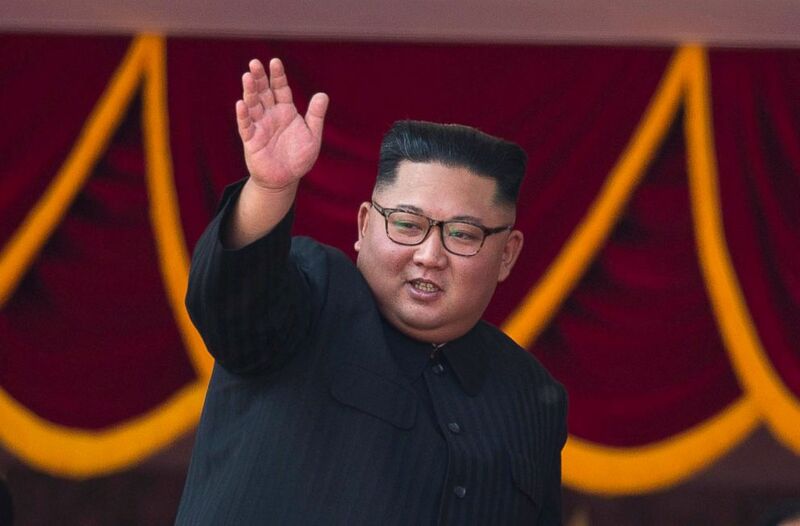 Kim Jong Un, the once-reclusive leader of one of the world's most closed nations, appears to be continuing his recent international outreach by relaying an invitation for Pope Francis to visit North Korea. The invitation follows a series of meetings between Kim and American officials, including a summit with President Donald Trump, and with South Korea's head of state. (Vicenzo Pinto/AFP/Getty Images, FILE) Pope Francis during the Angelus, traditional Sunday's prayer, in St. Peter's Square, Vatican City, June 10, 2018. Prior to the meeting, Cardinal Pietro Parolin, the Vatican’s secretary of state, will preside over a mass dedicated to peace in the Korean peninsula in St. Peter’s Basilica, which President Moon will attend, Burke said. Prior to North Korea's founding during the Korean War in the late 1940s in the aftermath of World War II, Pyongyang was known as the "Jerusalem of the East." But any form of worship is tightly controlled in North Korea, and some churchgoers are persecuted. The Holy See and Kim's government have no diplomatic ties. Nevertheless, the Catholic Church in Seoul has worked at keeping communication channels open with its neighbor to the north. (Andrew Medichini/AP, FILE) People watch Pope Francis as he recites the Angelus noon prayer from the window of his studio overlooking St. Peter's Square, at the Vatican, June 10, 2018. The president of the Korean Bishops conference, Archbishop Hyginus Kim Hee-Joong, was present at a dinner for the South Korean delegation in Pyongyang last month, during the third summit between Korean leaders. Moon introduced the archbishop to Kim at the dinner, and the archbishop relayed a message from the pope of peace and prosperity for the Korean people, the Italian news agency Ansa reported. The South Korean Catholic leader and Kim had another occasion to speak on the last day of Moon’s visit to the North. The archbishop recounted on his return home that when he had told Kim he would tell the Vatican that the two Koreas were moving toward reconciliation and peace, Kim replied with a bow, saying, "Yes, please," Ansa reported. 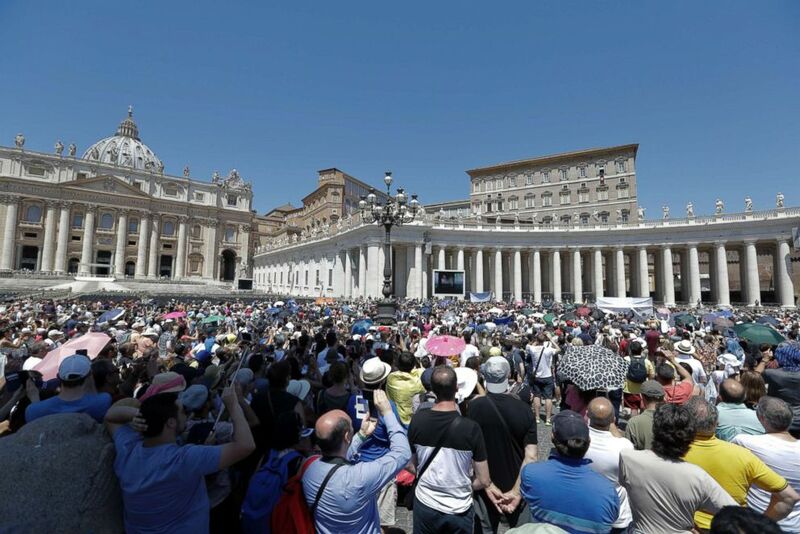 Pope Francis has made repeated public appeals for peace on the Korean peninsula, and led the faithful gathered in St. Peter's Square in prayers for the U.S.-North Korean summit on June 10 this year. (Ng Han Guan/AP, FILE) North Korean leader Kim Jong Un waves as he attends a parade marking the 70th anniversary of North Korea's founding day in Pyongyang, North Korea, Sept. 9, 2018. The pontiff made a five-day trip to South Korea in Aug. 2014, his first visit to Asia as pope, during which he called for peace and reconciliation on the Korean peninsula. 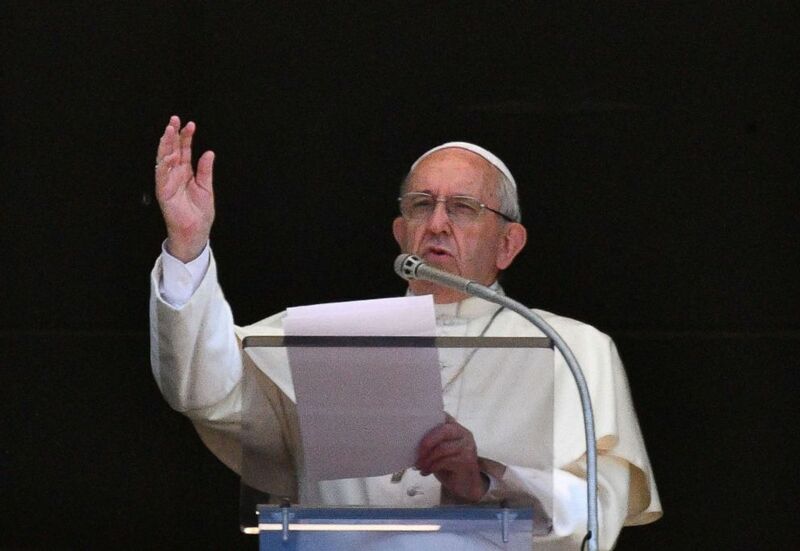 "Korea’s quest for peace is a cause close to our hearts, for it affects the stability of the entire area and indeed of our whole war-weary world," Pope Francis said.